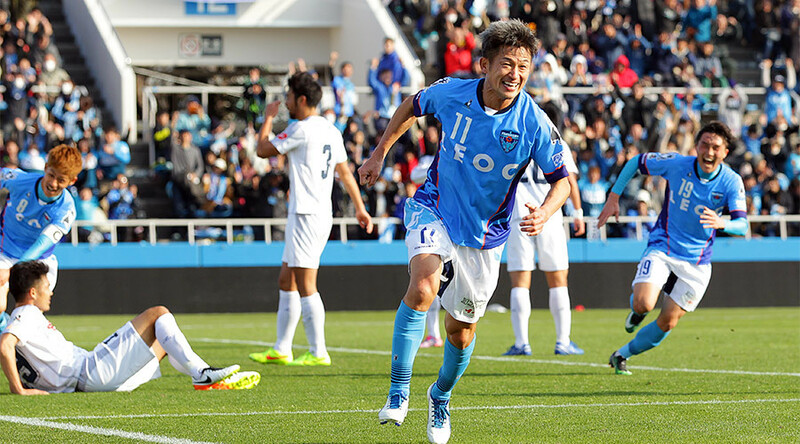 When Japanese striker Miura Kazuyoshi scored for Yokohama FC on Sunday, he became the oldest player to score a competitive goal in football history, breaking a 52-year-old record by two days. Miura – known affectionately among fans as ‘King Kazu’ – knocked in the only goal of his side’s J2 League game versus Thespakusatsu Gunma on 40 minutes and immediately danced away to celebrate. And there was indeed reason to celebrate – at 50 years and 14 days old, Miura had become the oldest goalscorer in the history of the beautiful game. He had broken the record that had been held since 1965 by the late English football legend Stanley Matthews, who scored for Stoke City in 1965 aged 50 years and five days old. Yokohama’s silver-haired golden oldie marked the milestone with a tidy jig before being joined by his teammates to celebrate an achievement by a player who made his professional football debut 31 years ago. “I’m glad to contribute to a win. I’m always looking to score but had a good feeling about today’s game,” Miura said after his heroics. Miura had always dreamed of becoming a professional footballer, and left home at the age of 15 to travel to Brazil, where he appeared for the youth teams of Palmeiras and Clube Atlético Juventus. He made his professional bow for Brazilian side Santos FC in 1986, and went on to play for a series of lower league teams in the South American country before returning to his homeland in 1990. That same year, he won his first international cap, embarking on a career that saw him notch 55 goals in 89 appearances for the ‘Samurai Blue’. He helped Japan qualify for their first ever World Cup finals at France ‘98 – a tournament in which he himself played – and made his last international appearance in 2000, aged 35. A storied and exotic club career also took him to Europe, playing in Italy for Genoa and in Croatia with Dinamo Zagreb. Now playing in Japan’s second tier, Kazuyoshi proved himself good enough for a short stint with Sydney FC in Australia in 2014. Miura’s goal also lifted Yokohama into third place in J2 League after just three games of the season played.